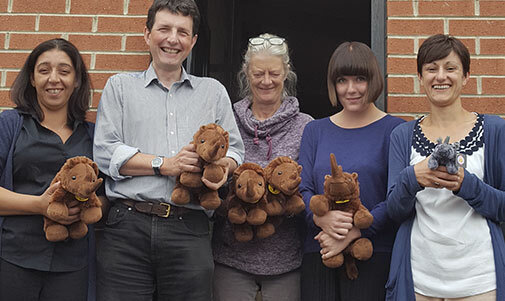 The responsibility for the growth and development of the Wirksworth Heritage Centre organisation lies with a committed group of volunteer trustees. They have led the recent work to re-locate and regenerate the centre to its new home on St. John’s Street, raising funds to carry out the £1.6m project and re-establishing the organisation as an independent financially sustainable enterprise. 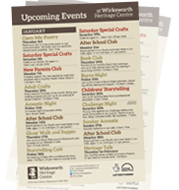 Wirksworth Heritage Centre was created by the Wirksworth Civic Society over thirty years ago with the aim of interpreting the history of the town for visitors and the local community. The organisation is a charity and a company limited by guarantee. Its Mission is ‘to preserve, promote and make accessible the stories of the town and people of Wirksworth.’ Its Vision is ‘to be an independent, financially sustainable heritage organisation, which, through the use of its museum collection and outreach learning programmes, makes a relevant and widely valued contribution to the culture and economy of Wirksworth.’ The Heritage Centre became a registered museum in 1999 and an accredited museum in 2009. The location of the original centre at the Crown Yard site had long presented problems, and visitor numbers had steadily declined over a number of years. Access was via a steep hill from the market square and there were significant access issues for people with physical disabilities. Lack of investment had led to dated interpretation and facilities. In 2012 the trust was bequeathed a three storey shop/townhouse on St. John’s Street by local resident Mrs Webster. During 2013, various options and approaches were being explored by the trustees, and major decisions made about the structure of the organisation, its business model and the future of both properties in its ownership. During this process it became clear that the St. John’s Street site provided an opportunity to re-invent the Heritage Centre as a thriving, more accessible operation which could be better utilised by visitors and residents alike. The decision to move was made, and so started a major project involving the renovation, conversion and fitting out of the town house to create a new Heritage Centre for Wirksworth. The project has involved extensive repair, adaptation and modernisation of the building to include interpretive exhibitions, safe storage for our museum collection, a studio & meeting room, shop and Webster’s Café with an outdoor courtyard. When complete, exhibitions and displays will illustrate Wirksworth’s long history and the qualities that make it so distinctive today. The design style will reflect the town’s quirky, creative and nonconformist qualities, and its strong community character. Object based displays will bring the story of Wirksworth to life, whilst the content throughout will reveal the stories of the people behind the objects.